Trip includes comfortable boat ride, snorkel gear, dedicated snorkel guide, refreshments & taxes. Check in at 1.30PM relax during the 30 minutes boatride and snorkel in either of 2 different locations (Marine or Sculpture park) with our certified snorkel guides. Fresh fruits of the season, Fruit and Rumpunch are served. During the ride back see St. Georges and the beaches from the sea. 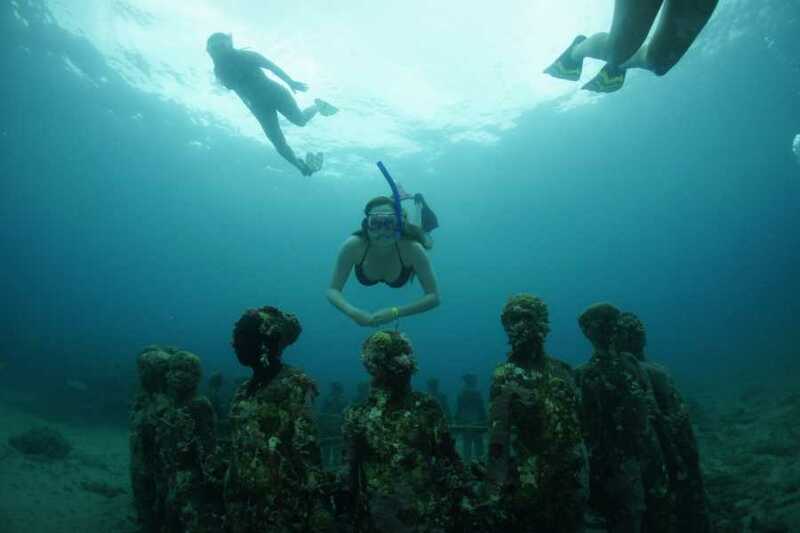 Trip will visit Grenada's Marine & Sculpture Park, snorkeling a beautiful reef and / or the Sculpture Park. The captain will choose Snorkel sites according to sea conditions and request of passengers.